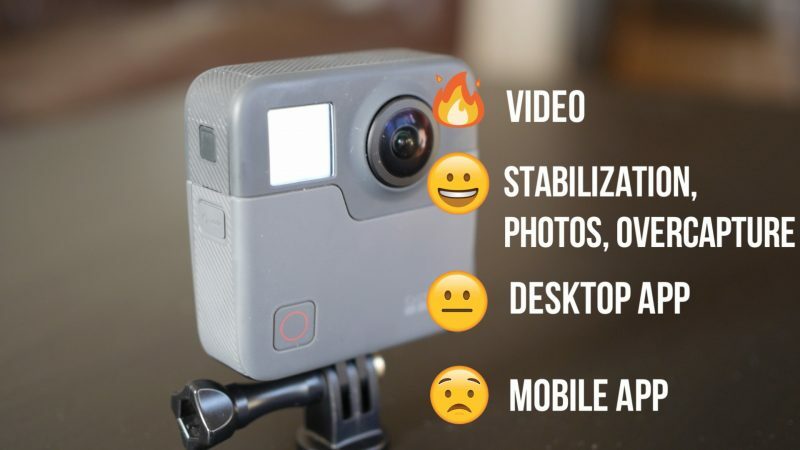 Home » 360° Camera Guides » Which is the best 360 camera to buy in 2019? Which is the best 360 camera to buy in 2019? 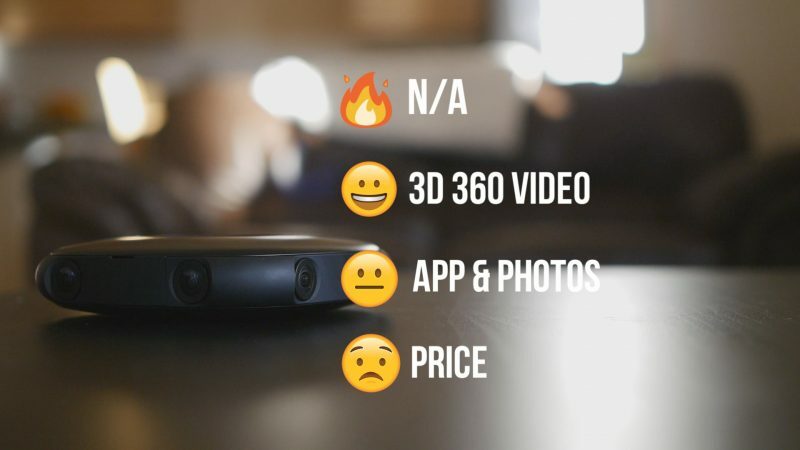 There are a lot of 360 cameras available right now and demand for them seems to be growing. You can do more with a 360 camera than with a normal camera; you can shoot VR 360, Overcapture, Tiny Planets and Hyperlapse, all in one device! I’m here to help you choose the best 360 camera for you. In this post I’ll be looking at 10 360 cameras in total and while there is one particular camera I would recommend, you should still check the others out as many have a unique feature that no other 360 camera has. There isn’t really one single best 360 camera that stands above all the others. It would be great if there were but it seems like each camera has its strenghts and weaknesses, so you’ll need to take a look at each one and decide what features are important for you. Below I’ve listed all the current 360 cameras available now and visualised what they are good and bad at, along with a quick description of how they are best used. 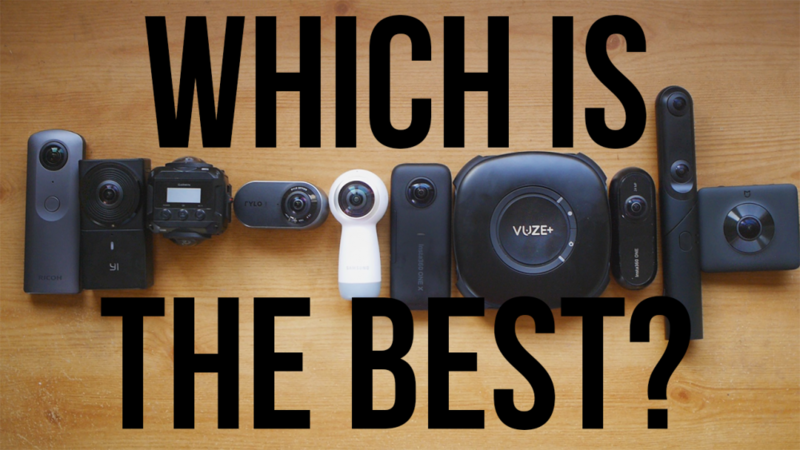 Hopefully this will make it simply for you to decide what the best 360 camera is for you. The Insta360 One X is the latest 360 camera and one of the best ever. It can shoot 5.7K resolution video and has the best stabilization of any camera I’ve ever used! You can use this as an action camera or a VR camera, it works very well as both. The One X can also shoot in various frame rates for slow-motion and hyperlapse video. 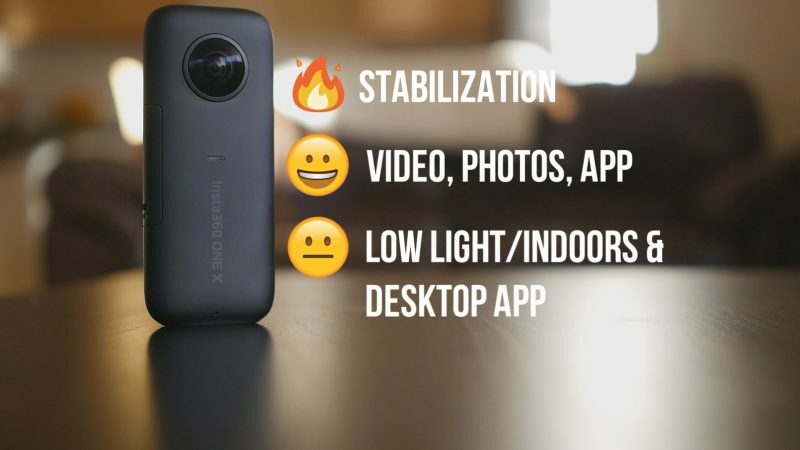 The One X is my top recommendation for 360 cameras as of now thanks to its reasonable price and large number of features, but it’s particularly good for anyone shooting fast moving action shots. The Fusion software requires a fairly powerful desktop and the App isn’t great, but overall it’s a great camera for shooting 360. I’d recommend the Fusion for anyone who needs professional quality 360 video or if you need a durable, waterproof 360 action camera. 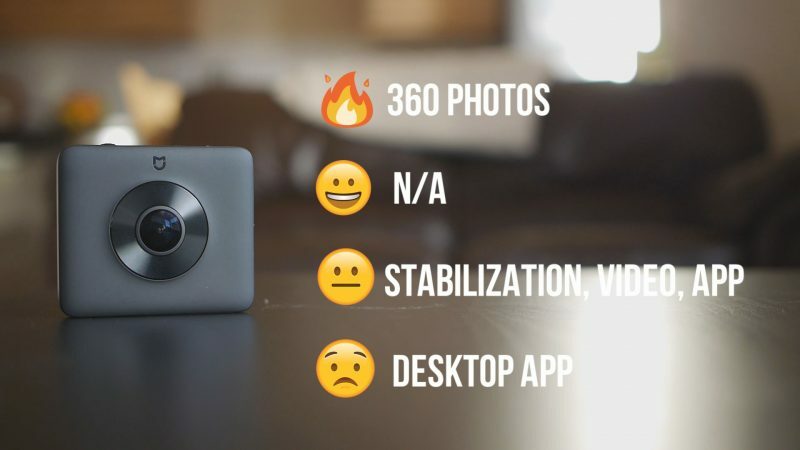 The Rylo is a tiny but powerful 360 action camera with an amazing app and epic stabilization. You can run, walk, ski and surf with the Rylo and your footage will still be smooth. The camera can shoot impressive 5.8K resolution which looks clear and crisp, however the photography capabilities of this camera are less impressive. The Rylo is very well made and the user friendly software makes creating awesome video very easy. The Rylo is mostly designed for action shots and vlogging so if you are into either of those the Rylo is a top choice. The QooCam is a unique and versatile camera, it can shoot 360, 180 and 3D video by transforming its body. You can switch between 360 and 180 by swivelling the body of the camera. 4K is the maximum resolution of this camera, which isn’t great for VR but pretty good for watching on mobile devices. The Qoocam has become popular as a multi-use device for those who don’t always want to shoot in 360. If you want a multi-purpose camera and mostly shoot for mobile platforms like Instagram and Facebook, then the Qoocam is a good choice. 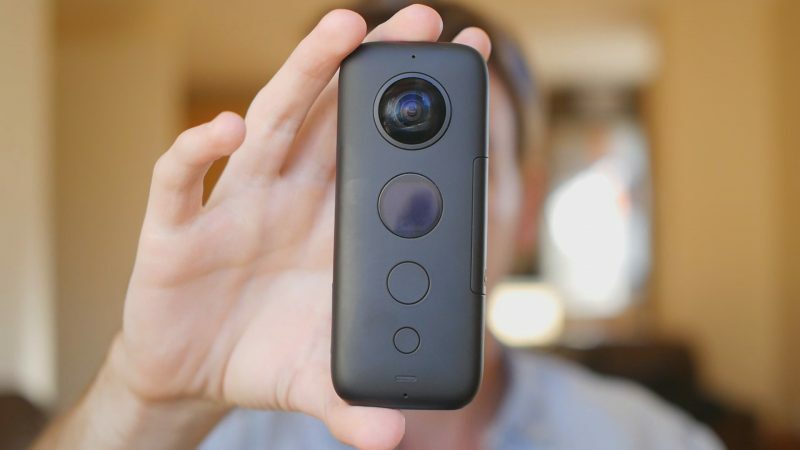 If you are looking for a great 360 camera for photos and video in general, then the Theta V is worth considering. The auto-HDR feature allows you to shoot stunning photos and the high quality lenses can shoot video with excellent dynamic range. You can also upgrade the Theta V with plugins to expand its capabilities. Certainly one of the best all-round 360 cameras. I’d recommend the Theta V for those who mostly want to shoot 360 photos/tinyplanets, but also want the option of shooting good quality VR video. The Mi Sphere is one of the cheapest 360 cameras and the best for shooting 360 photos. The Mi Sphere can shoot 23 megapixel 360 images in RAW for maximum quality. You have full access to manual controls such as ISO, exposure and shutter speed and you can also shoot bracketed images for HDR. The Mi Sphere is good enough to shoot professional virtual tours, however it’s not so good for video. I’d only recommend the Mi Sphere for anyone who wants to shoot high quality 360 photos for a very low price. If you are looking for the ultimate action camera than the VIRB 360 is the one to beat. With a tough exterior, waterproof body and replaceable lenses, the VIRB is ready to be put through its paces. With half a dozen sensors, the VIRB lets you track everything from speed to altitude. You can use this data to add augmented reality displays to your video that visualise the data collected, kind of like a heads up display in a fighter jet! 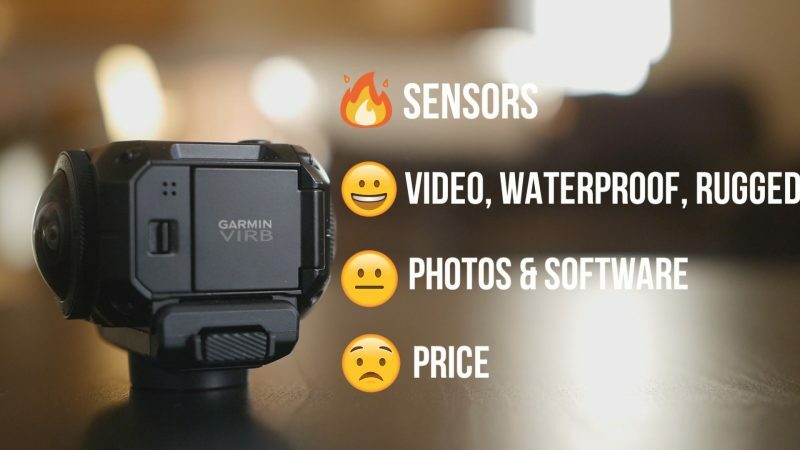 The VIRB is my top choice for durability, so anyone who wants a tough camera should take a close look. 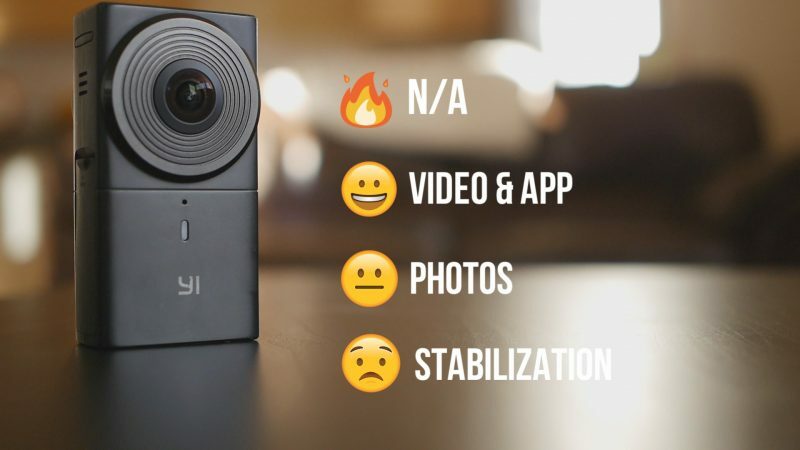 If you are looking for a cheaper 360 camera that can shoot super high quality 360 video then the Yi 360 may be the camera for you. While the Yi 360 doesn’t have the ability to stabilise moving video it can shoot very detailed 5.7K 360 video, just make sure it’s attached to a tripod. The Yi is the cheapest 360 5K 360 camera out right now and it can still produce great quality video. I’ve been using the Yi as a static camera for shooting virtual tours, so anyone wanting to do the same thing for a low price should consider the Yi 360. Even though this camera has been superseded by its newer and bigger brother, the Insta360 One X, the original One is still worth taking a look at. If you are after a cheaper action camera and can cope with the lower quality video then the One could be a bargain. 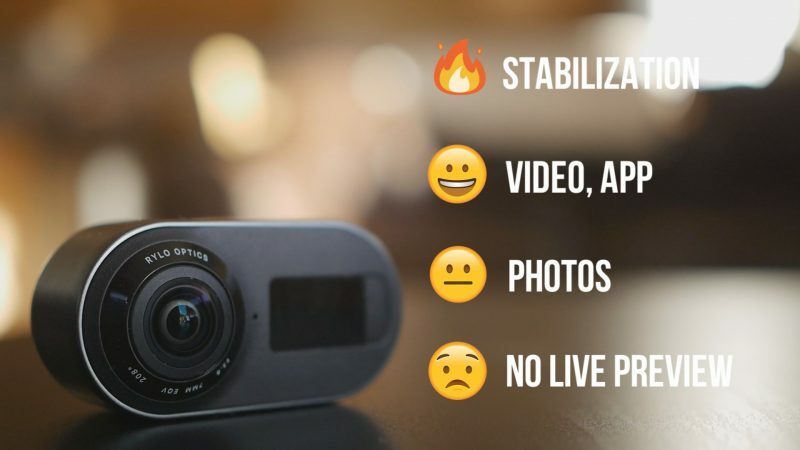 It uses the same awesome stabilization as other Insta360 cameras, allowing you run, walk, surf and ski while shooting super smooth video. If you are shooting a 360 project for VR headset users, then 3D is the way to go. 360 and 3D work well together and make viewing VR video much more immersive. The Vuze cameras are the only consumer cameras that let you film 360 and 3D at the same time. You will have to pay a premium for this feature, but it might be worth it if you want the best experience for your viewers. 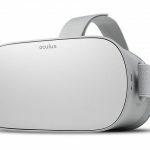 Is the Oculus Go still worth it in 2019? 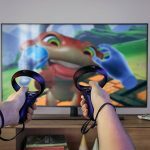 Oculus Quest vs PSVR: Which is Better? Have been playing with a Rylo for 6 months now: social, family and holidays documenting mainly, some sports. And I am sure I will stop photographing and start filming using the advantages of 360. The question: would I win by going to the Insta360 One X?